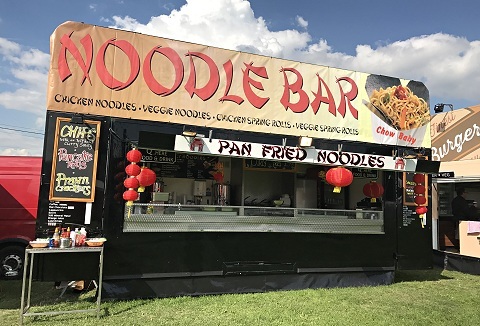 We have been delivering the best in mobile event catering for over two decades, supplying BBQ gourmet, noodle bar, jacket potatoes and general fast food from our dedicated purpose built catering units for a large variety of outdoor or indoor events. We pride ourselves on the quality of service and variety of food we offer to your customers from traditional hog roasts, tasty steaks to Chinese noodles & espresso coffee. We supply professional uniformed staff who all hold health & hygiene certificates. 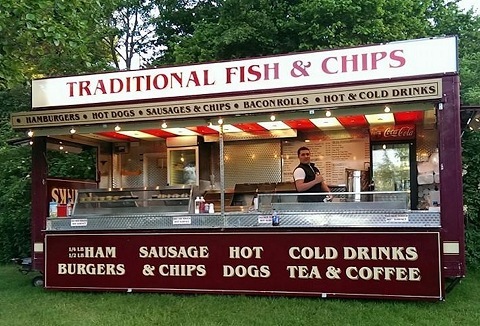 Quality mobile catering trailers & units for all types of events & venues selling a wide selection of fast foods freshly cooked on-site from jacket potatoes, fish & chips, burgers to hot dogs, competitive prices served by fully trained uniformed staff. 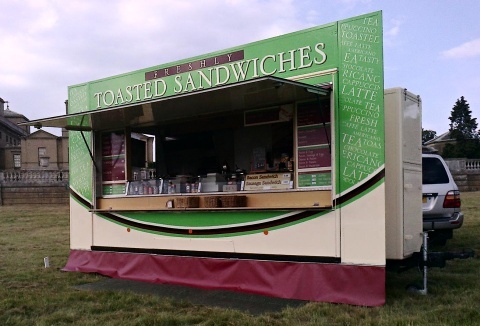 Our quality mobile catering units can be found at all types of events manned by our professional uniformed staff serving an assortment of foods including all day breakfast, 100% beef burgers, chips, tortilla wraps, fresh filled baguettes, jacket potatoes. We specialise in serving freshly prepared toasted sandwiches and our menu gives a varied choice of popular sandwich fillings, including vegetarian options. Range of beverages include specialist teas, coffees as well cold drinks. Served by uniformed staff. As a family run business we have a wealth of experience within the catering trade and offer an extensive range and variety of services. 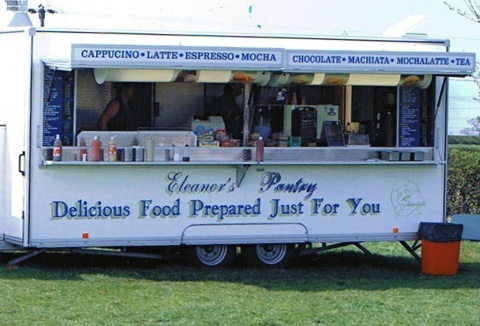 We can supply mobile catering units in a range of sizes offering a diverse range of products for all types of events. We are a friendly family business established 1999. 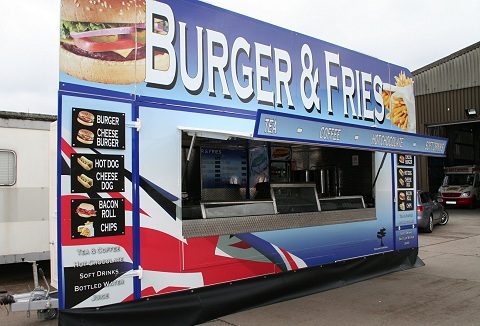 Flexible range of menu options & catering units to suit your event from bacon, burgers, chips plus vegetarian, healthy options inc baguettes, ploughman’s, home-made soups & casseroles. Rated Five stars. 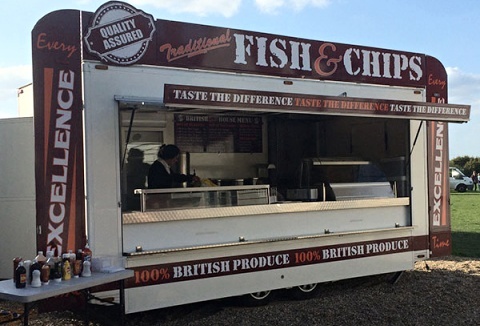 Quality food prepared just for you has been our motto for our family run business, specialising in event catering, large or small events we cater for all. We can provide breakfast items, baked potatoes, baguettes to a Mexican menu. We pride ourselves on extremely high standards of food quality, customer service and hygiene, whilst giving you value for your money. 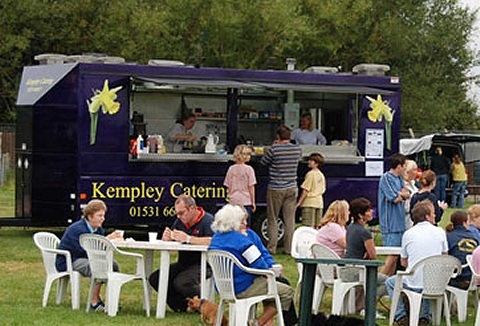 We provide catering for a range of events, concerts to shows bringing a variety of food and drink to suit the event. From our mobile modern fitted trailers to the quality of our homestyle cooked meals our aim is to offer the best in our field. 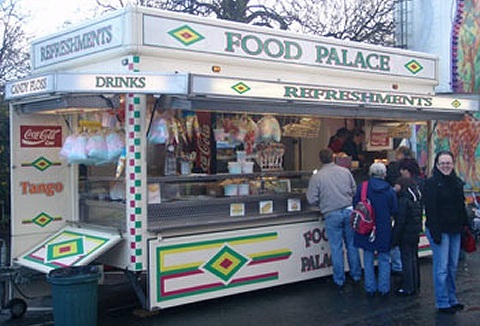 We can arrange the complete concession of up to 20 or more units. Our pedigree includes some of the most prestigious UK events.